The Belgian survey is generously co-funded by the Research Foundation-Flanders (FWO-V). 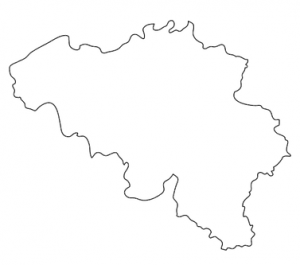 The Belgian project consists of a population study, the mapping of the associational landscape in Belgium and a comprehensive survey among organizations that are active at the national and the regional level. The Belgian project taps not one, but three communities (the central, the Flemish and francophone level). This multilayerdness makes Belgium an interesting case to study. At the same time, it is a challenging case as it complicated the mapping of the organizational population in Belgium. During the first year (2015), we spent much time and energy on developing a sound procedure for mapping all Belgian organized interests and civil society organizations. This mapping started with the KBO (http://economie.fgov.be) and to this we added various other sources. Our study targets all civil society organizations in Belgium, which includes a broad range of organizations such as labour unions, NGOs, sport-federations, employer groups and business groups. Basically, it concerns all organizations that stand between the government and individual citizens and that seek to represent some public policy interest. In total, we identified approximate 1700 organizations that are active at the Belgian central and regional level. The next step (January 2016) is to organize a survey among these organizations.